Found 7 file extension associations related to Sid Meier's Civilization IV and 7 file formats developed specifically for use with Sid Meier's Civilization IV. 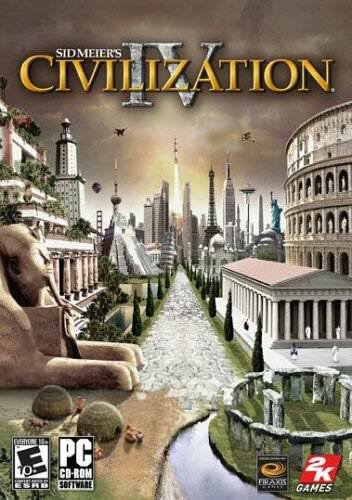 With over 6 million units sold and unprecedented critical acclaim from fans and press around the world, Sid Meier’s Civilization is recognized as one of the greatest PC game franchises of all-time. Now, Sid Meier and Firaxis Games will take this incredibly fun and addictive game to new heights by adding new ways to play and win, new tools to manage and expand your civilization, all-new easy to use mod capabilities and intense multiplayer modes and options. Civilization IV will come to life like never before in a beautifully detailed, living 3D world that will elevate the gameplay experience to a whole new level. Civilization IV has already been heralded as one of the top ten games of 2005, and a must-have for gamers around the globe! If you need more information please contact the developers of Sid Meier's Civilization IV (Firaxis Games), or check out their product website.